What a wild premier league season it's been and althought it's not quite over yet, the title race is courtesy of Spurs dropping points against Chelsea tonight. If any of you got on the 5000-1 for Leicester to win the league at the start of the season, then well done to you, as very few did! 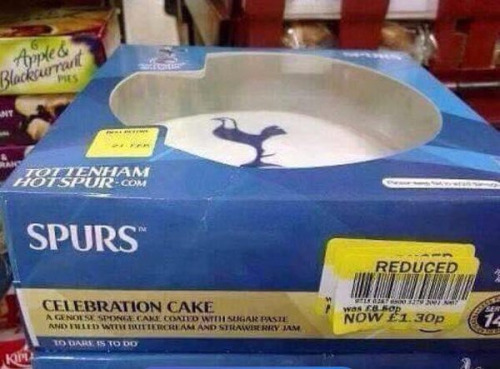 For the rest of us who watched and enjoyed an underdog story like no other throughout the season, we can at least console ourselves with some reduced price Spurs celebration cake! Yum yum!